Monday, September 10th, 2012. 7weeks, 3days. I just got home from seeing Dr. K for my follow-up ultrasound. Things went fairly well, considering, although not perfect. The doc was able to see the gestational sac much more clearly this time, and while it was only 5mm last week and he hoped it would be to 10mm by today, it only measured about 8mm. He was also able to clearly see a yolk sac, which he said was a very good sign. There was no heartbeat visible today, but with the slow growth happening, it was unlikely that we would see it before 10mm anyway. Some good things… Growth, although slow, is good. Yolk sac being visible is very good. No spotting or cramping is also very good. 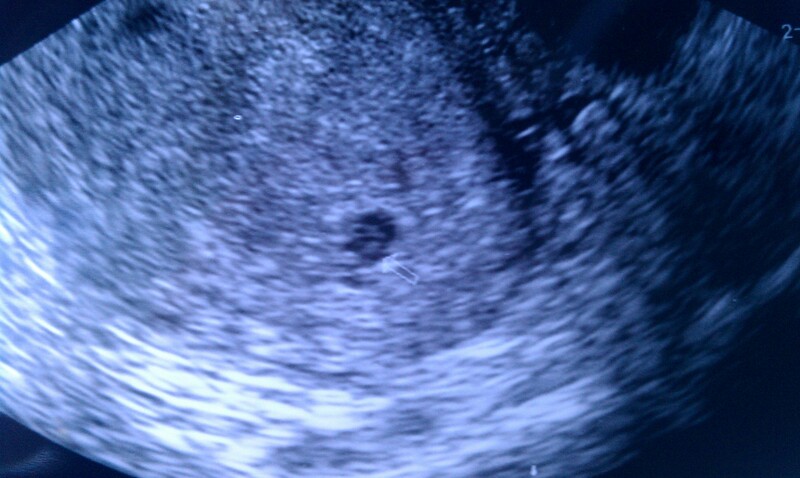 Some not so great things… No visible fetal pole or heartbeat yet. Doc also saw a small bit of free blood in the uterus, which could signal that spotting and miscarriage are in my future, but maybe not. One great thing… Dr. K walked into that ultrasound room and the first thing he said to me was “So, have you been reading anything on the internet since we last spoke?” I almost laughed. Of course I told him that I had, and that I felt much more prepared today for either outcome. I also told him that I’d read up on the difficulty some women with retroverted uteruses (err… uteri?) have with early ultrasounds, and he agreed that it was often harder to get early measurements in cases like mine. He also told me that he thinks I am amazingly strong, and said that I did well with the waiting this past five days. He asked if I’d like to come back on Friday for a follow-up, but (because apparently I’m a masochist) I asked to come back next week instead. I’d like to give this kid another weeks growth before we take another look. He was surprised, but he agreed enthusiastically that it was a great idea. I decided to wait on blood work for now. I may cave later in the week, but for now, growth of any kind is a pretty reliable indicator that my hormone levels are where they need to be and not dropping. I figure that a week is enough time for either a visible heartbeat, or miscarriage symptoms, especially considering the blood in my uterus. I feel good about all of this. It might not end happily, but I asked for what I wanted and the doctor was very supportive. I also expressed an interest in miscarrying naturally, if that’s how this plays out, and he agreed that there is no harm in allowing myself to go through the process without medication or surgery. I’m glad he was so supportive today, and it made the whole experience so much easier. I still have hope that this will be my Take Home Gummy Bear, but I feel in control of the care I’m getting, and I feel very supported by everyone in my life, including the staff at the clinic. I was praying for you all weekend and am so glad to hear that there was some good news to report. I will continue hoping for even better news next week. Grow, Gummy Bear, grow! Yay for small victories! So relieved to see your post! Will hope that good things continue to come. I was thinking of you today! Eagerly waiting to see what next week brings! I’m so glad today went well! So happy that your little gummy bear is growing! So glad to hear that your doctor was so supportive and glad he recognized how strong you are!! Keep growing little one! I knew we’d both have good news from our docs today!! Still thinking of you guys! Oh my gosh! What good news! I’ll keep praying the news just keeps getting better! 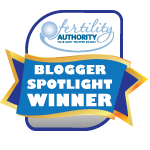 So….in case I missed it, do you have a retroverted uterus? Oooooo grow gummy bear grow!! Keep growing!! All of my appendages are crossed for you. Ok now! That is promising! Yay for a gestational sac! That’s good news. You are a strong woman to wait another week to do the next ultrasound. Hopefully next week you will be able to see that gummi bear! omg omg omg so sending positive vibes your way!! Positive thoughts headed your way!